On the face of it, it appears almost comical: Putin here, Putin there, Putin behind rigged polls, behind syringes that go astray, behind adulterated vaccines, solar flares, air pollution, global warming, scammed bank accounts, manipulated elections, Femen who commit suicide, economies that climb, economies that collapse … the list goes on, marching into wacko-land. In short, Putin the bogeyman. Putin the Bad, with a capital B. In Europe, in the Western world and particularly in our country, “putinophobia” has become institutional. If you want to be counted among the good people and beautiful people, it is imperative to sacrifice to it. All or nothing. The Zeitgeist is not into subtle nuance. The funniest thing in this story is that the same people who were militating until recently for Soviet Russia and its epigones, all the worshipers of Stalin, Mao, and Pol Pot, have no words harsh enough, today, for “this former KGB”! “Putin is an awful dictator,” they say in chorus. And the three we just mentioned, the ones they all loved – guilty passion that our brilliant intellectuals seem never to have repented – what was it exactly? Yes, but now, Putin is now considered far right. The proof: he would have lent money to the National Front. It’s summer, and even the hollow of summer, the time when the apprentices and the fresh graduates are on the move. This is the apotheosis of trainees when the opportunity is given to “prove themselves.” Result: zero degree of reflection and politics, acme of ignorance and stupidity … Example: in the anthology of nonsense heard in recent days, a female voice, on France Info, explained to us that the Parker Solar Probe was going “to cross the surface of the sun”many times, for seven years. Sic. So hardy, that solar probe! On France 2, a state organization, we have the sound AND the image. During a topic devoted to the holidays of the presidents, France 2, always anxious to do well where it is needed and proper, broadcast a completely fake report Friday on the holidays of the Russian president. “Vladimir Putin plays to the gallery: tiger hunting in Siberia (Russia), diving in the icy waters of Lake Baikal. With the master of the Kremlin, propaganda never takes leave,” says Valérie Astruc, who is not particularly a beginner. To prove how Putin is a dirty rat, we offer the viewer the image of the president posing in front of a tiger on the ground – dead, the tiger, that goes without saying. That France 2 should be misrepresenting is no novelty. That France 2 is doing it twice over on the same subject, is huge. 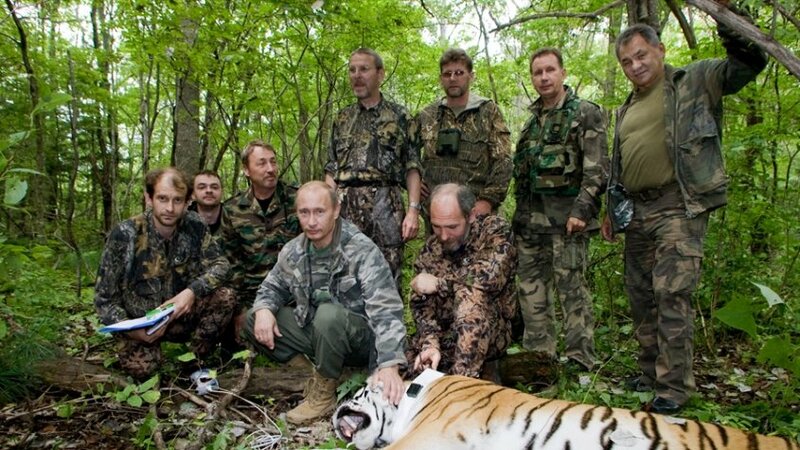 The channel had already presented this same image in 2013 to illustrate the alleged passion of Putin-the-bloodthirsty for tiger hunting. Faced with the outcry aroused on social networks, France 2 apologized three days later, the news of August 13. “This is not a “fake news” but an unintentional mistake that the information management of France Televisions regrets,” said the press service. “Unintentional”? One more time, they are taking us for idiots!